2011 Winnebago Vista 35F, Winnebago Vista Class A Motor Home w/1-1/2 Bath, Rear Full Bath Including Shower, Vanity w/Sink, Toilet & Overhead Cabinet, Sliding Door to Bedroom w/Slideout Queen Bed & Nightstands, Wardrobe/Chest of Drawers/Wardrobe, Sliding Door to Living Area, L-Shaped Extendable Sectional Sofa & Booth Dinette Slide, 1/2 Bath, 32" LCD TV, Refrig., 3 Burner Range, Dbl. Kitchen Sink and Much Much More! Available Options May Include: Bedroom TV. 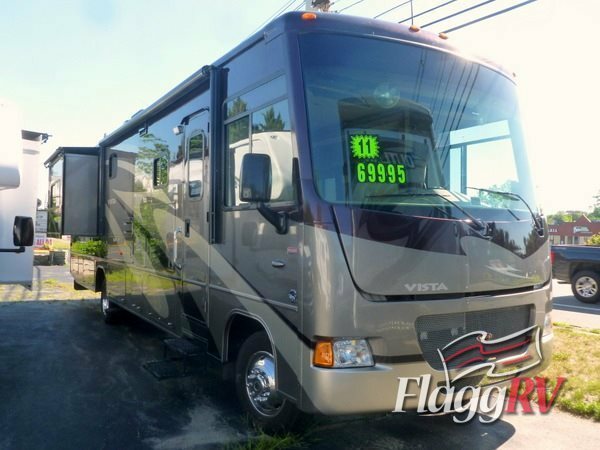 2015 Winnebago Vista 35F, Other: 22,000 Lbs. GVWR and 74 Gallon Fresh Water Capacity 2015 Winnebago Vista 35F When we talk about value, we are talking about the Vista®. Among seven luxurious layouts to choose from, we have added the new triple-slideout 36Y featuring a unique galley design with residential refrigerator, dining/buffet with HDTV, two-tiered galley countertop, plentiful storage, and a walk-around queen bed or available king bed. To us, value means offering quality standard features such as MCD roller shades, powered patio awnings, and rearview monitors. Value also means packing luxury in available space, which is why you will find the StudioLoft drop-down bed available on most models. The Vista is sure to impress with its new front cap and full-body paint (NA 26HE and 31KE). 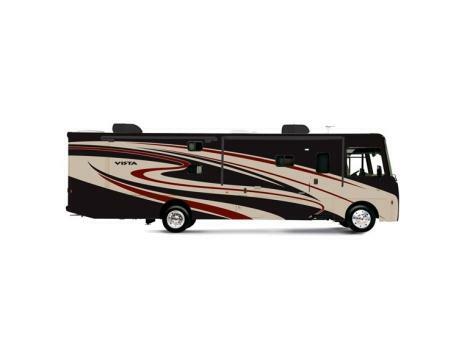 Add in Winnebagos® legendary reputation for quality and you have an unbeatable value in the Vista.